Thirdy Ravena is a monster—let’s just get that out of the way. It’s an undisputed fact. He’s been causing damage in the college scene, where he snatches souls and Finals MVP trophies (and group work tasks) in a manner that‘s simply, undeniably, monstrous. So when his name was included in the Philippine Team that would represent the country in two must-win games, it made perfect sense to me. Remember when Adam Banks was recruited to play for the varsity team in D3: The Mighty Ducks? Thirdy making the jump from Ateneo to the national team was kind of like that because Thirdy is next level-ready. But, okay, Banksy isn’t a monster like Thirdy and the Philippines isn’t smug like the varsity team, so maybe this analogy doesn’t work. But Coach Tab kind of reminds me of Coach Orion so maybe it does. 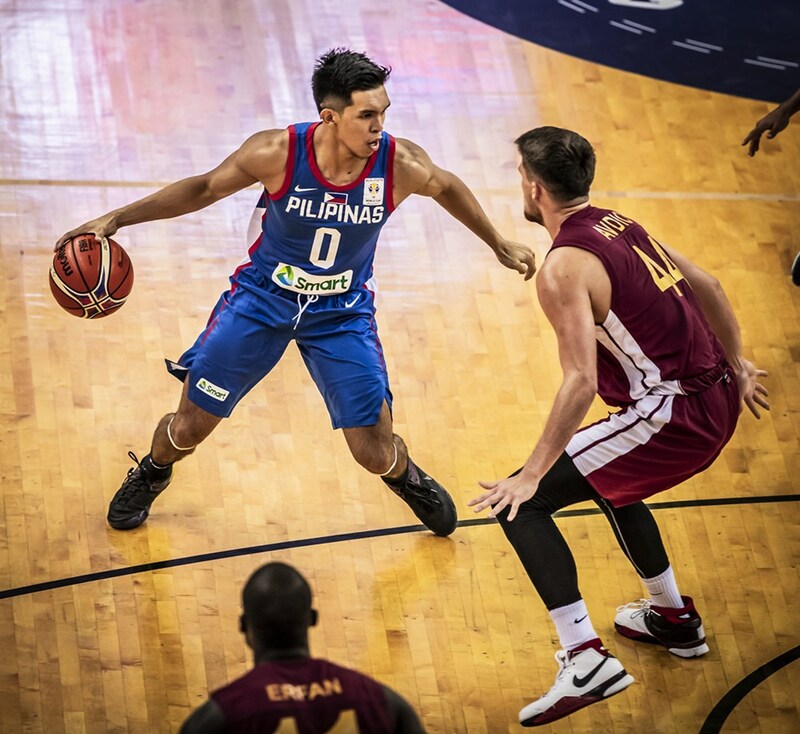 Anyway, Thirdy made his official Philippine Team debut Thursday past midnight, at the end of the first quarter, with a sluggish Philippines leading by only two points (spoiler: they won by 38). Thirdy was immediately aggressive when the ball swung his way, taking his cue from Andray Blatche, who was shooting baskets with the enthusiasm of a man deprived of shooting baskets. If possessions were beer bottles, Blatche were downing them like a pro in seconds. Straight, big gulps. It felt like the Blatche Comeback Party. Thirdy, on the other hand, was the youngest and newest Gilas member. He mingled like he already knew everyone at the party. In the two times he caught the ball in the first quarter, Thirdy went for it. He missed both times—a corner three that was too strong and a turnaround floater that was a bit to the right. In 13 minutes of playing time, he misfired on all four attempts, had one assist, turned the ball over once, fouled twice—and it’s one of these fouls that became the game’s most memorable highlight. It happened with only 55 seconds left in the blowout. Qatar ran a fastbreak and, unfortunately for them, Thirdy was the last line of defense against two players who are coming at him. Thirdy knew what to do. He was ready. The ball skipped to 6’10” Nasser Al-Rayes, who I assume haven’t seen YouTube clips of Thirdy blocking Ricci Rivero or Thirdy blocking Papi Sarr or Thirdy blocking Takuma Sato. Al-Rayes gathered his feet for what looked like a tomahawk dunk try. Unknowingly, he already fixed himself up for his first Thirdy Ravena highlight. Thirdy did the thing with his arms where he half-winds it to propel himself up for a grown man leap. F—k being an amateur. Al-Rayes initiated takeoff, but before he even got air, Thirdy was already lording over him, his hair almost touching the backboard, his right arm cocked, locked, and ready to rock. F—k timing. Thirdy swatted the ball from Al-Rayes’ grip, with so much fury, with the aggression of a Bea de Leon winning spike. Al-Rayes fell to the floor and did the opposite of falling on one’s feet. Thirdy held a brief pose under the rim, looking deep into the souless body of his latest victim, before walking away. Al-Rayes, for his part, should be fine. He’s in good company, anyway. Thirdy blocks only the best. But let’s not get it twisted: Thirdy wasn’t out there to introduce Thirdy to the world. That play introduced Al-Rayes to Thirdy’s world. Thirdy was called for an unsportsmanlike foul (the refs had to do something) for his actions. 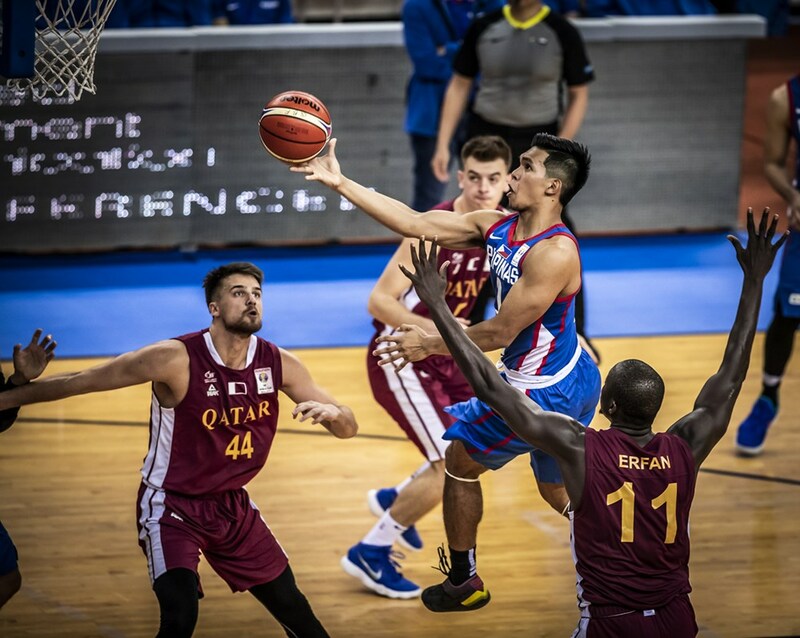 Gilas Pilipinas defeated Qatar. The Philippines’ World Cup hopes are alive. But the real winner? The Ateneo Blue Eagles. They’re a team blessed with one more year of Thirdy Ravena, who continues to gain added experience at new heights. Plus, Thirdy, monster that he is, has a new addition to his collection of captured souls he keeps in his locket.